Click on the article to see an enlarged version that's easier to read! It is with the greatest sadness that I announce that my old friend and companion, Master Dibble passed away today. After a long and brave fight against painful arthritis in all four legs, it was not fair to expect him to put up with the discomfort any longer. 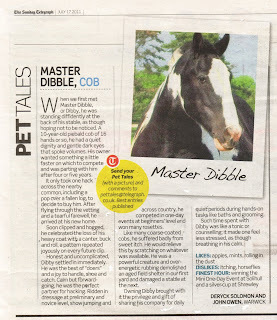 Everyone who was lucky enough to meet Dibby soon recognised that he was special. He enjoyed all his outings locally with his Dad and won many rosettes for dressage and even the Mini One Day Event at Solihull. He was well schooled and obedient yet spirited, forward-going and a joy to ride. His manners were impeccable in the stable and out and he was kind, gentle and never guilty of a mean or selfish act. He was the complete gentleman and a privilege to know. 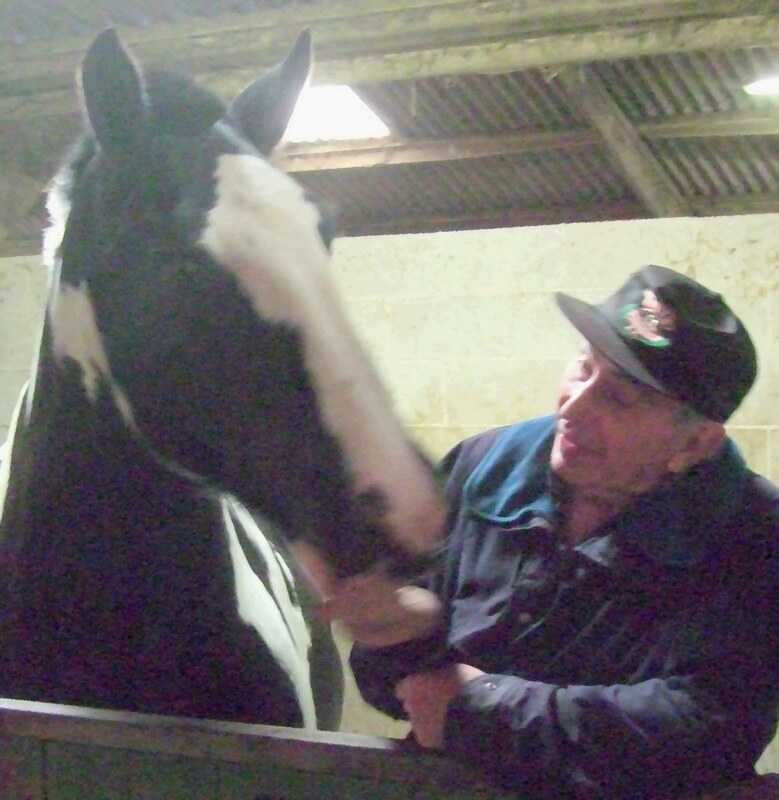 I spent the last decade with him in the field, lorry and adjoining stable and Both Dads and I will miss him more than words can ever say. With the passing of my best friend Dibby, our blog "Cobmalian" comes to an end on its 800th. posting and remains as a tribute to the greatest cob. 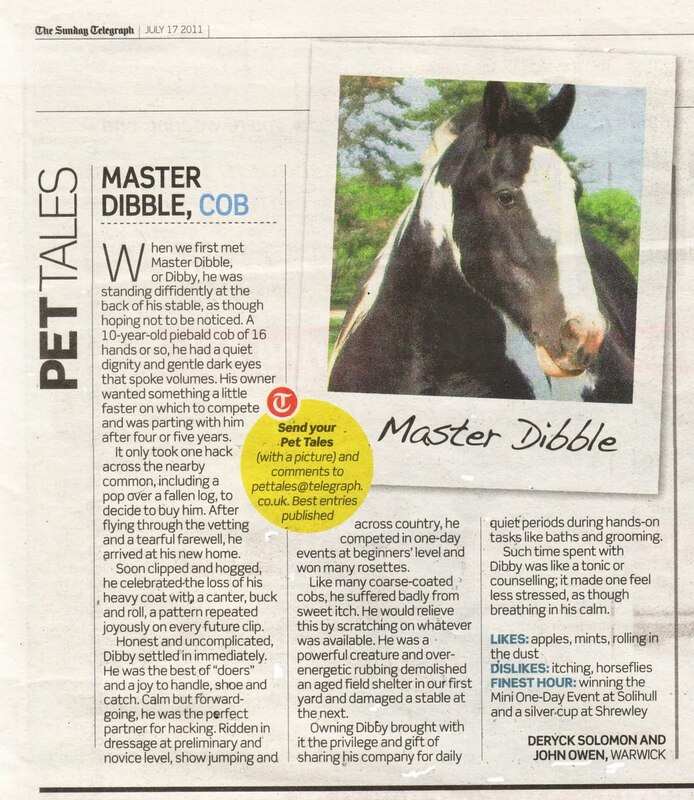 God bless Master Dibble: you were simply the best.